May is Food Allergy Action Month. Food allergy is a potentially serious immune response to eating specific foods or food additives. Eight types of food account for over 90% of allergic reactions in affected individuals: milk, eggs, peanuts, tree nuts, fish, shellfish, soy, and wheat. Reactions to these foods by an allergic person can range from a tingling sensation around the mouth and lips and hives to death, depending on the severity of the allergy. The mechanisms by which a person develops an allergy to specific foods are largely unknown. Food allergy is more prevalent in children than adults, and a majority of affected children will “outgrow food” allergies with age. However, food allergy can sometimes become a lifelong concern. 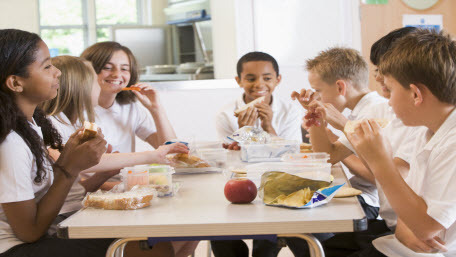 Among children under 17 years old, the prevalence of food allergies increased from 3.4% in 1997– 1999 to 5.1% in 2009–2011. Hispanic children had a lower prevalence of food allergy compared with non-Hispanic white and non-Hispanic black children. The prevalence of food allergy increased with income level. Among children with family income less than 100% of the poverty level, 4.4% had a food allergy. Food allergy prevalence among children with family income between 100% and 200% of the poverty level was 5%. From 2004 to 2006, there were approximately 9,500 hospital discharges per year with a diagnosis related to food allergy among children under age 18 years. You are currently browsing the archives for the food allergies category.